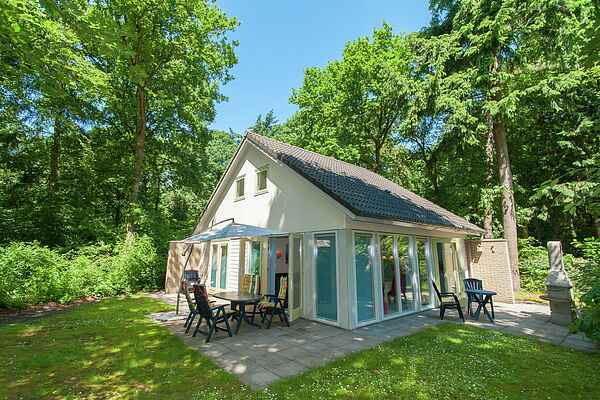 Holiday home in the forests of the Friesland Gaasterland, on a small park without facilities. There are playgrounds in the park where children can play and play table tennis. There is also a tennis court which is hired out by the owner. The woody region is perfect for lovely walks and cycling trips. For those who would rather spend time on the water, the Frisian Lakes and the Ijsselmeer are also nearby. Through the location on the Frisian Ijsselmeer coast, Oudemirdum is a perfect base for visiting the port towns on the Ijsselmeer such as Hindeloopen, Stavoren, Makkum, Workum and Lemmer. The characteristic water sports town of Sneek and the picturesque 11-cities town of Sloten are also worth a visit.